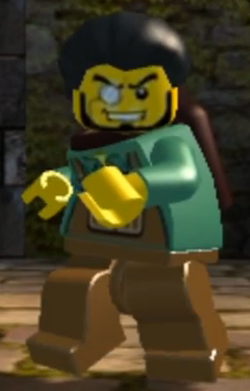 Von Kruchman is one of the characters in the video game LEGO City Undercover: The Chase Begins. He is one of the bosses of the game, and he is one of the five most wanted escapees from Albatross Prison. His face is similar to the 2006 variation of The Penguin, but with a facial hair on it. His disguise does not come with his jetpack. von Kruchman's mugshot, along with Rex Fury's, Smokey Fuentes', Carl Walnuts', and Tony "Knuckles" McGee's, the other four Albatross Island escapees. This page was last edited on 10 January 2016, at 01:02.